According to information released to the media on January 4 this year (which we have only now had brought to our attention) a combination of drug therapy with laser ablation has been approved “for the focal treatment of early stage prostate cancer.” However, this approval is in Mexico. It is based on a trial in just 80 patients in three Latin American nations (Mexico included). So … The form of treatment is known commercially as TOOKAD® Soluble Vascular Targeted Photodynamic therapy (VTP). It was developed initially by researchers at the Weizmann Institute of Science at Rehovot in Israel. It has been in development since at least 2010 by a company based in Luxembourg called Steba Biotech. And the media release mentioned above also came from the Weizmann Institute of Science. Information about the 400-patient Phase III trial in Europe can be found on the ClinicalTrials.gov web site (as can links to information about several other, earlier trials, dating back to 2008). What is much harder to find is any clinical data about the outcomes of men treated with TOOKAD Soluble VTP. So here is a link to information presented by Dr. Mark Emberton on March 13 this year at the annual meeting of the European Association for Urology in Munich. Basically these are the preliminary data from the European Phase III trial mentioned above. According to this report on the FirstWord Pharma web site, the European trial compared treatment with TOOKAD Soluble VTP to monitoring on active surveillance in > 400 men with what must have been low-risk prostate cancer (because otherwise it would have been unethical to randomize patients to one form of therapy or the other). TOOKAD Soluble VTP uses TOOKAD (an investigational drug formerly known as WTP11). The drug is a so-called photosensitizer. It’s proper “scientific” name is padeliporfin di-potassium. When it is injected into cancerous areas of the prostate, and those areas of the prostate are then “zapped” with a low-energy, near-to-infrared laser light (delivered through very thin optical fibers), the treatment supposedly “enables highly localized vascular occlusion that triggers targeted necrosis of tumor lesions, while sparing surrounding healthy tissue.” In other words, the prostate cancer tissue is killed and healthy tissue isn’t (or at least, that’s what’s meant to happen). The trial was implemented at 51 centers across Europe (not including Israel), of which 47 actually seem to have enrolled patients. All patients treated with TOOKAD Soluble VTP had hemiablation therapy (i.e., the lobe of their prostate that contained cancer on biopsy was treated and the other lobe wasn’t) and all patients were followed for a period of 2 years. Their PSA levels, their urinary function, and their erectile function was assessed every 3 months. They also had repeat biopsies at 12 and 24 months. 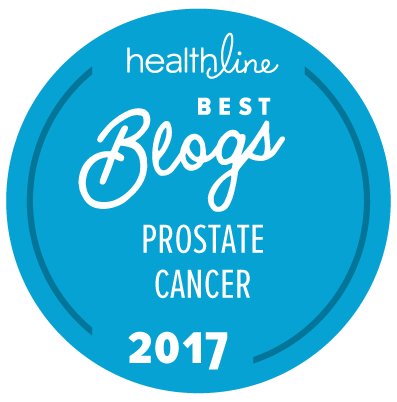 This is the first time that partial ablation of the prostate, or focal therapy, has been evaluated in a randomized setting. This is certainly a great improvement over the trials that never really happened to seek approval for the use of high-intensity focused ultrasound (HIFU), and it shows that such randomized trials can, quite certainly, be carried out. So what were the results of this trial? 413 men were randomized to the study. At 12 months of follow-up, men in Group A had less risk for disease progression than men in Group B. 28 percent of the men in Group A showed signs of disease progression. 58 percent of men in Group B showed signs of disease progression. 14 percent of men in Group A had had a positive repeat biopsy. 49 percent of men in Group B had had a positive repeat biopsy. 6 percent of men in Group A had been given radical therapy of some type. 29 percent of men in Group B had been given radical therapy of some type. These primary outcomes were met without detrimental effects on genitourinary function. TOOKAD VTP was effective at reducing rates of progression, conferring a negative biopsy status, and diminishing the need for radical therapy. Perhaps surprisingly, there is no sign on the Steba Biotech web site of media releases commenting on these data or commenting on the approval of TOOKAD Soluble VTP in Mexico (or the results of the 80-patient trial in Latin America). The company did issue a media release commenting on the completion of the European Phase III trial; the fact that data would be presented at the EAU meeting held in March; and the fact that Steba had submitted a Marketing Authorization Application (MAA) to the European Medicine Agency (EMA) for TOOKAD. Apparently, the MAA requests EMA approval of TOOKAD for the treatment of localized prostate cancer. The “New” Prostate Cancer InfoLink would hope that if the EMA does approve TOOKAD it would be limited to an approval for the treatment of low-risk prostate cancer only (since that is the form of prostate cancer in which it appears to have an effect). For those whose Spanish is much better than your sitemaster’s, there was also an article in the Mexican media about the approval of TOOKAD Soluble VTP. Now there is another series of issues to all of this that may be important, and that is exactly why men were willing to enroll in the European trial and exactly why they went on to have therapy (if they did) and whether, if they elected to have therapy after being in the active surveillance only arm of the trial, one of the therapies they could elect to have was TOOKAD Soluble VTP. In theory, all of these patients were supposed to be good candidates for active surveillance. We know that a significant proportion of men who are indeed good candidates for active surveillance will go on to have therapy within 2 years after starting active surveillance. But what drives that decision can be any one or more of many different things. The first question we would ask about this trial is whether every patient enrolled was given a repeat biopsy that showed no sign of Gleason pattern 4 or 5 cancer before they could be enrolled into the trial. Only if they had had such a repeat biopsy can we be sure that they really were good candidates for active surveillance in the first place. The second question would be whether focal treatment with TOOKED Soluble VTP was a potential possibility for men in Group B if they decided they needed treatment (for whatever reason). The third question would be what percentage of the patients who had treatment in each arm of the trial did so because of anxiety or similar reasons. It makes perfect sense that if you had had no treatment you would be more anxious than you would if you had had treatment and that that could be a major driver behind the decision to have treatment if you were in Group B of the trial. The availability of safe and effective treatments for men with low-risk disease will be a good thing … but only if they are used properly in the men who really need such treatment, and not if they are being used in men who would really do just as well (or perhaps even better) on active surveillance. My brother-in-law forwarded the same information to me last week and I posted it on another web site. I have been on AS since August 2012 and have been looking at any and all tools, tests, and treatments that will help me continue to maintain my quality of life, both mentally and physically. I have had two genetic tests (Prolaris and OncotypeDX) to help keep my anxiety down, but focal treatments, both focal laser ablation and this new photosensitization/laser ablation treatment are of interest to me as my PSA has recently gone up from 3.9 to 5.4. I am scheduled for a MRI and a MRI-fusion biopsy at UCLA in the next 45 days. If any treatment is recommended, based on the findings (Gleason score), I would be looking at the two treatments mentioned above, in hope of maintaining my physical quality of life, even though both are not approved by the FDA. Perhaps the goal is not to completely cure but to keep the prostate cancer from growing by targeting what can be treated based on whatever method of identifying the targets, be it MRI or the phtosensitization/ablation. I still have concerns about the side effects of TOOKAD even though the article I read stated that it should be gone from the patient within 3 to 4 hours. I am also looking at a liquid biopsy (the blood test from Angle PLC) to help assess the aggressiveness of my prostate cancer, but Angle never responded to my email. Since Angle PLC is in the UK and you are in America, it is probably not possible for them to discuss their development stage liquid biopsy test with consumers in the USA outside the context of an approved clinical trial of some type. Small trials of the TOOKAD procedure have been carried out in North America, but I know of no ongoing trials of this treatment in the USA at this time. Presumably someone could treat you with this procedure in Mexico — if you were to decide that this was a good idea. You can try contacting Charles Simone at the University of Pennsylvania to see if he would treat you, since they have a protocol for it. I think Dr Emberton is right to consider it as an adjunct to active surveillance rather than as a replacement for radical therapy. Clearly, any traditional radical therapy can do better at cancer control among low-risk men than the 28% who had signs of progressive disease within 2 years. But if looked at as a way of staying on active surveillance longer, it may have some benefit. I also wonder about possibilities for re-treatment, salvage treatment, and optimal patient characteristics. I suppose we’ll have more data in a few years.